MAE HONG SON, Thailand, April 26 (Reuters) - Golden umbrellas draped in beads and flowers provide shade for boys as young as seven riding on their fathers' shoulders in a procession through the mountain town of Mae Hong Son on Thailand's northern border. 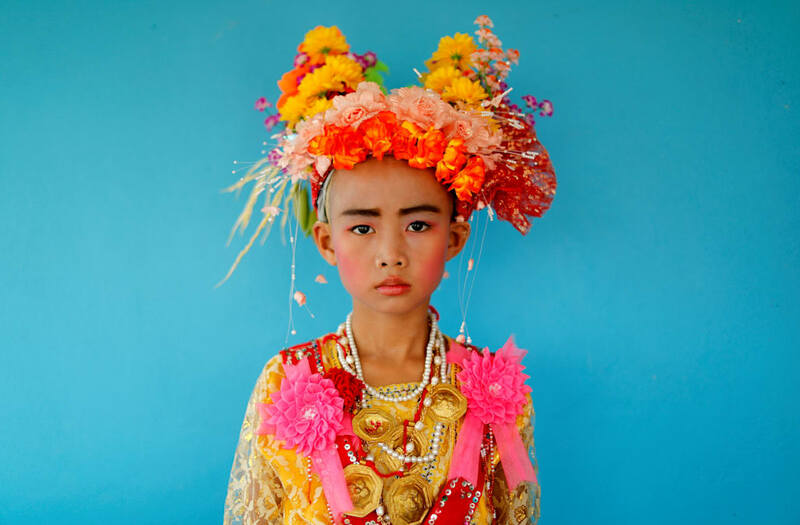 Dressed in clothes dominated by neon pinks and greens with elaborate headgear, their lips and cheeks brightly rouged for the most important day of their short lives, about 50 boys advance to the lively beat of drums, cymbals and gongs. The event is a rite of passage to initiate the boys as Buddhist novices, the highlight of an annual celebration by the Shan ethnic group that lives mainly in neighboring Myanmar, but is also spread through China, Laos and Thailand. Boys with their heads smeared with thanaka bark wait to pray inside a temple after being shaved in preparation for an annual Poy Sang Long celebration, a traditional rite of passage for boys to be initiated as Buddhist novices, in Mae Hong Son, Thailand, April 2, 2018. Danusorn Sdisaithaworn, 10, poses for a portrait during an annual Poy Sang Long celebration, a traditional rite of passage for boys to be initiated as Buddhist novices, while he visits a relative's house outside Mae Hong Son, Thailand, April 4, 2018. Boys have their hair cut in preparation for an annual Poy Sang Long celebration, a traditional rite of passage for boys to be initiated as Buddhist novices, in Mae Hong Son, Thailand, April 2, 2018. Their shorn hair is wrapped in lotus leaves and saved as a keepsake by their mothers. Boys play with their mobile phones and tablets at Wat Klang Thung temple where they temporarily live after entering Buddhist novicehood, in Mae Hong Son, Thailand, April 15, 2018. Boys sleep at Wat Klang Thung temple, where novice monks temporarily live after entering the Buddhist novicehood in Mae Hong Son, Thailand, April 15, 2018. Boys walks for almsgiving early morning after entering the Buddhist novicehood at a temple where they live for one or two months during their school holidays, studying Buddhist scripture, in Mae Hong Son, Thailand, April 15, 2018. Boys stay inside a temple during an annual Poy Sang Long procession, part of the traditional rite of passage for boys to be initiated as Buddhist novices, in Mae Hong Son, Thailand, April 3, 2018. A man carries a boy on shoulders during an annual Poy Sang Long procession, a traditional rite of passage for boys to be initiated as Buddhist novices, in Mae Hong Son, Thailand, April 3, 2018. A boy waits inside Wat Klang Thung temple in preparation for an annual Poy Sang Long procession, part of the traditional rite of passage for boys to be initiated as Buddhist novices, in Mae Hong Son, Thailand, April 5, 2018. Boys prepare their novice robes at Wat Klang Thung temple where they temporarily live after entering the Buddhist novicehood in Mae Hong Son, Thailand, April 14, 2018. Children are carried on shoulders during an annual Poy Sang Long procession, a traditional rite of passage for boys to be initiated as Buddhist novices, in Mae Hong Son, Thailand, April 3, 2018. Boys walk for almsgiving early morning after entering the Buddhist novicehood at a temple where they live for one or two months during their school holidays, studying Buddhist scripture, in Mae Hong Son, Thailand, April 15, 2018. Gorsak Kong Tawan (C), 13, dances while is carried on the shoulders of a relative during an annual Poy Sang Long procession, a traditional rite of passage for boys to be initiated as Buddhist novices, in Mae Hong Son, Thailand, April 3, 2018. Mr. Kasem rides a tuk-tuk carrying his new ordained sons Apiwvit and Phusit after their heads were shaved at Wat Klang Thung temple in preparation for an annual Poy Sang Long celebration, part of the traditional rite of passage for boys to be initiated as Buddhist novices, in Mae Hong Son, Thailand, April 2, 2018. Women wait for an annual Poy Sang Long procession, a traditional rite of passage for boys to be initiated as Buddhist novices, in Mae Hong Son, Thailand, April 3, 2018. Phuwadol Kong Tawan (L), 11, Gorsak Kong Tawan (C), 13, and Danusorn Sdisaithaworn, 10, pray for a merchant at a market while being carried on shoulders during an annual Poy Sang Long celebration, a traditional rite of passage for boys to be initiated as Buddhist novices, in Mae Hong Son, Thailand, April 4, 2018. Boys have lunch after an annual Poy Sang Long procession, part of the traditional rite of passage for boys to be initiated as Buddhist novices, in Mae Hong Son, Thailand, April 3, 2018. August, 8, is dressed up for an annual Poy Sang Long procession, part of the traditional rite of passage for boys to be initiated as Buddhist novices, in Mae Hong Son, Thailand, April 3, 2018. A boy waits inside Wat Klang Thung temple in preparation for an annual Poy Sang Long procession, part of the traditional rite of passage for boys to be initiated as Buddhist novices, in Mae Hong Son, Thailand, April 3, 2018. Danusorn Sdisaithaworn (L), 10, Gorsak Kong Tawan (C), 13, and Phuwadol Kong Tawan, 11, have lunch after praying in a house of a relative during an annual Poy Sang Long celebration, part of the traditional rite of passage for boys to be initiated as Buddhist novices, in Mae Hong Son, Thailand, April 4, 2018. August, 8, has his make up applied inside Wat Klang Thung temple in preparation for an annual Poy Sang Long procession, part of the traditional rite of passage for boys to be initiated as Buddhist novices, in Mae Hong Son, Thailand, April 3, 2018. Danusorn Sdisaithaworn (L), 10, and Gorsak Kong Tawan, 13, rest at an altar made for them at their home after an annual Poy Sang Long procession, part of the traditional rite of passage for boys to be initiated as Buddhist novices, in Mae Hong Son, Thailand April 3, 2018. Boys have their hair shaved by monks in preparation for an annual Poy Sang Long celebration, a traditional rite of passage for boys to be initiated as Buddhist novices, in Mae Hong Son, Thailand, April 2, 2018. Boys are bathed with scented water in preparation for an annual Poy Sang Long celebration, a traditional rite of passage for boys to be initiated as Buddhist novices, in Mae Hong Son, Thailand April 2, 2018. August, 8, is dressed up by his relatives inside Wat Klang Thung temple in preparation for an annual Poy Sang Long procession, part of the traditional rite of passage for boys to be initiated as Buddhist novices, in Mae Hong Son, Thailand, April 3, 2018. A woman smears a boy with paste made from thanaka bark after his hair was shaved in preparation for an annual Poy Sang Long celebration, a traditional rite of passage for boys to be initiated as Buddhist novices, in Mae Hong Son, Thailand, April 2, 2018. Gorsak Kong Tawan, 13, is carried by a relative after using the toilet at their home in Mae Hong Son, Thailand, April 3, 2018. Boys who participate in an annual Poy Sang Long celebration, a traditional rite of passage for boys to be initiated as Buddhist novices, are not allowed to touch the ground or walk by themselves until the festival has ended. "I was overwhelmed with happiness and excited about the ceremony," said Kasen Kongtui, 58, a Thai trader who sponsored the participation of a 12-year-old family friend, Poo Sit, from Myanmar. "He told me: 'Grandfather, I want to become a novice!' 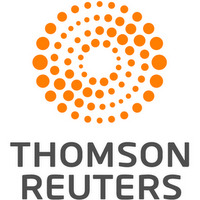 So we helped him," Kasen told Reuters. "I did it to make merit." To fulfill the dream of a son's participation in the prestigious event, parents willingly scrimp for a long time, others accept relatives' donations to defray costs, and the poorest may even send offspring to live with wealthier families. The rite of Poy Sang Long, as the celebration is known, represents the early childhood of the founder of Buddhism, Siddharta Gautama, who was born a prince about 2,600 years ago. He is said to have given up a life of royal splendor to live as a holy man after witnessing sickness and death outside the palace. The boys' ordination is thought to bring honor to their families, and the event runs for a week during the dry season before the traditional Thai New Year, when most villagers are home for the holiday and children are on a school break. For these 'beloved princes' of the Shan families, the ceremony runs through several stages, from the shaving of their heads, with the shorn locks wrapped in lotus leaves by their mothers to be saved as a keepsake, to a bath in scented water. They dress in white and have dazzling patterns drawn on their faces and heads with a yellow cosmetic paste made from ground-up thanaka bark thought to have protective properties. From now until the end of the festival, the boys are believed to have acquired semi-divine status, and are not allowed to touch the ground or walk by themselves. The parade takes place the next day, preceding a more contemplative period on the third day, when the boys visit relatives' homes to pray for their families. After the week is up, the boy novices live at a temple for one or two months during school holidays, studying Buddhist scripture. "I like having my head shaved," said August, a smiling 8-year-old clad in red and gold, with an ornate hat that featured pink flowers and diamante trim, as he described his favorite part of the rite. "When I saw my friends doing this, I decided to become a novice. I want to be the Buddha's representative. I want to be a good person."